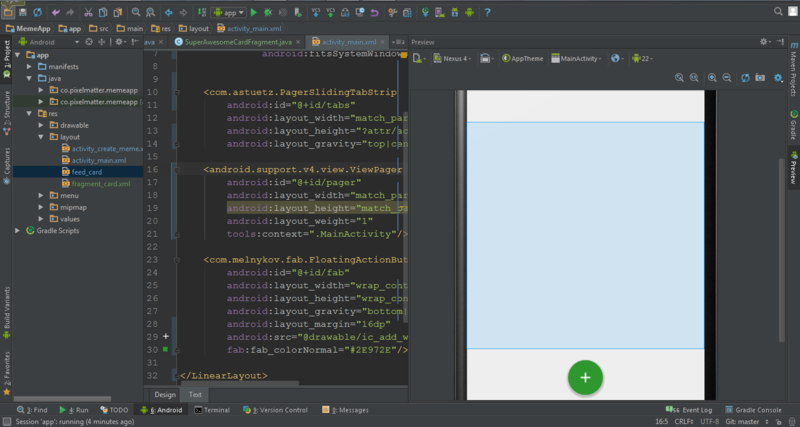 android,xml,android-fragments , Fixed element in android? I am using a FAB(Floating action button) and a ViewPager that has a list inside a fragment. So how can I get the FAB to appear fixed over the sliding ViewPager views? You need a FrameLayout. In a FrameLayout, the children are overlapped on top of each other with the last child being at the topmost.